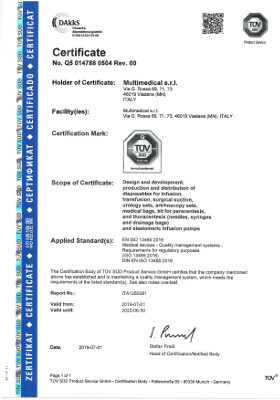 MULTIMEDICAL is always engaged to improve its quality, and in 1998 obtained, by TUV Munchen, the EC Certificates and UNI EN ISO 13485. For the application and supervision of the Quality System a specialist (biology doctor) is full time employed in the company. 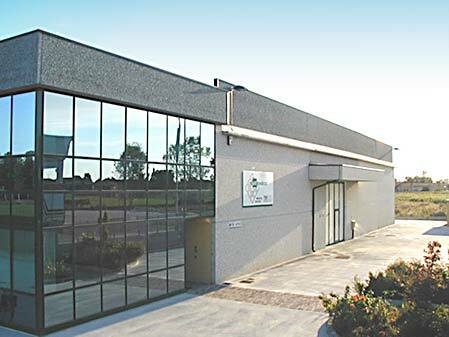 The company is always researching new solutions in production, to help the customer to improve the quality of services and products. 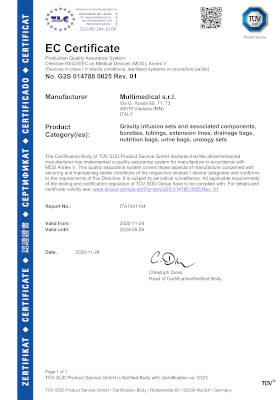 For the realization of the products are utilized only ISO standards components produced by first class and regularly certificated suppliers. 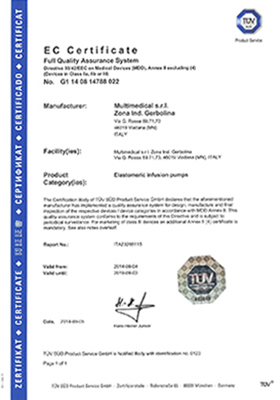 For all these characteristics, MULTIMEDICAL products are used and appreciated in many important italian and foreign hospitals. 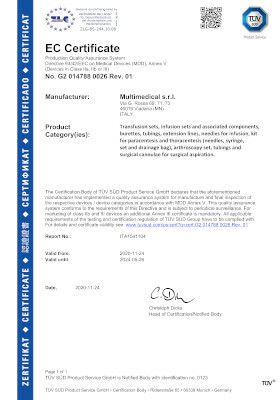 Product Categories: Gravity infusion sets and associated components: valves, connectors, adapters, filters, stopcocks, spikes, caps, manifolds, burette; tubing, extension lines, drainage bags, nutrition bags, urine bags, urology sets.